Sieve and watch what will happen. The sieves have different sized holes for sieving little sand grains or both little and big sand grains. 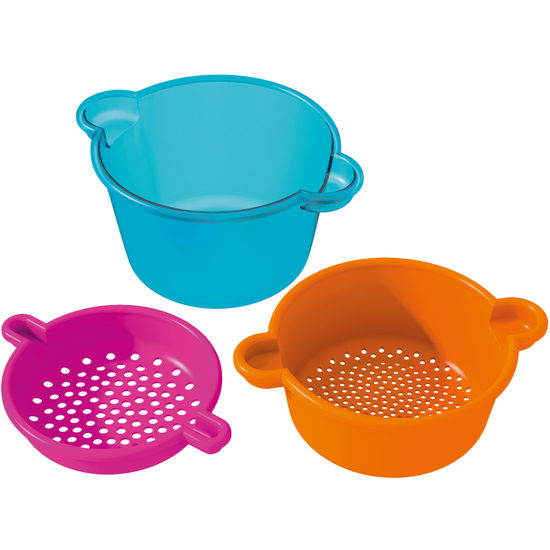 The transparent bucket is perfect for close observation.